Isn't it such a delight when you get a run of excellent reads? Looking back over my reading lists of the past few years, there are often barren patches where all the novels seem to be entertaining enough, but not sufficiently demanding or thrilling to ever warrant a re-read. Not so at the moment, and I am relishing the joy of being enveloped in good writing. 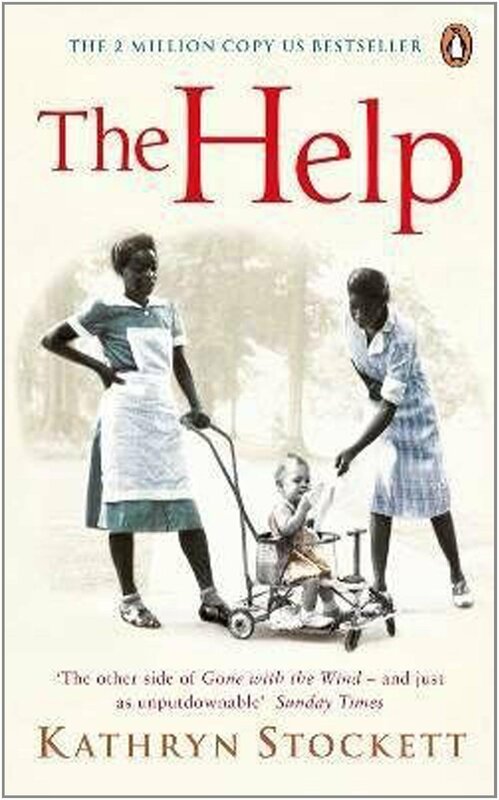 One that definitely warrants a revisit is The Help. Published in 2009 and made into a film in 2011, this is a debut novel by Kathryn Stockett. I first encountered this as an audio-book a few years ago and was prompted to re-read it by one of my students. It is a wonderful combination of good writing, good plot and open, empathetic characterisation. Set in Jackson, Mississippi, the book explores the social and cultural milieu of a small town whose defining characteristic is its separation between black and white residents. The most significant character is Aibileen, a black house-maid who agrees to help Skeeter first with a domestic advice column in a newspaper and then on a much more risky publication. She begins to meet Skeeter in secret, telling the truth about what it was like to work for middle class white families. She recruits other maids, who because of their faith in Aibileen and their disgust at the treatment of Yule Mae by Hilly Holbrook, risked their livelihoods and their lives to speak openly about the discrimination suffered every day. The book serves, as all good fiction should, to illuminate truth. Though a novel, the segregation is factual, the way the domestic maids were treated is representative and the oppression of a whole sector of society is honestly depicted. This honesty comes in part from the sections narrated by Skeeter. A reasonable, educated white woman, the book details her gradual awakening to a system in which she had been unintentionally complicit. Born to wealthy white parents who owned a cotton plantation, she had been brought up by Constantine her maid, and was used to having black workers toiling her father's land. Through her story, we see real love and affection between black maids and white children. This storyline is echoed in Aibileen's relationship with Mae Mobley. The plot is narrated in turn by Skeeter, Aibileen and Aibileen's friend, Minnie. Each has a function. The two maids are foils for one another. Aibileen is steady and measured whilst Minnie is impetuous and impulsive. Minnie has lost countless jobs because she has failed to keep quiet when mistreated by the white ladies. Suspicious of all of them, she took a great deal of persuading to trust Skeeter Phelan and her project. The novel is the story of the publication of a book, from idea to draft to its reading audience. It tells the stories of maids in the deep South and their employers. It tells the story of a young white woman who wakes up to who she is and how she came to be that person. It is a story of a nation begging for change. Set in the period of civil rights, Rosa Parks and Martin Luther King, this novel sits at an uncomfortable period of American history whose echoes resonate as sadly all too relevant today. Despite its difficult content this is a heart-warming story where empathy is given to all three central characters. There is comedy, pathos, compassion and an overarching positive tone that encourages us to believe that humanity, at its best will prevail over the shame and degradation of humanity at its very worst. This links nicely with my next read, I Am, I Am, I Am. The title comes from a line in Sylvia Plath's autobiographical novel, The Bell Jar. The repetitious phrase reflects the sound, beat and insistence of her heart, a rhythm which reinforces her life rather than her desire to escape it. 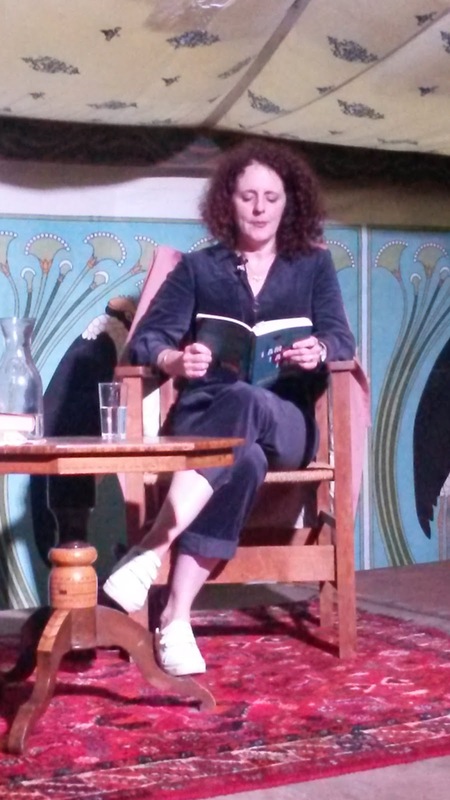 Maggie O'Farrell's memoir however, is not one of suicidal agony, rather it is a celebration of life. This is something of a paradox when you consider that the whole book is about encounters with death! Each chapter details a life-threatening moment in O'Farrell's own life. And it is seventeen chapters long. At the North Cornwall Literary Festival, she said that near-death experiences were not unusual, that we would all have stories to tell. I am not so sure. She has certainly experienced more than most of us. And whilst some can be deemed as "trivial", such as her mother narrowly avoiding shutting a young Maggie's head in the boot of a car or as "commonplace", such as swimming out too far and finding yourself tired and out of your depth (admittedly made more tense by the fact that her young non-swimming son was on her shoulders at the time), others are dramatic and terrifying. Most of us can be thankful that our vehicles were not targeted by bandits, machetes were not held to our necks or that our rambles in the countryside were not interrupted by psychopaths. But horrific (and disturbingly gripping) though these tales were, it is the ones of searing vulnerability that evoke the most response. The chapter on miscarriage is open and begs us to consider the question why we keep our early pregnancies under wraps, "I've never understood the blanket secrecy you're supposed to apply to early pregnancy. Certainly I've never felt the need to broadcast the news far and wide, but it seems to me that pregnancy at any stage is significant.." Why is it that we choose to suffer alone when we grieve the loss of an embryo? This is indeed one of society's final taboos, and one which we need to speak out about. It doesn't need to be sentimentalised with social media campaigns, but rather we need to be free to speak about such pain if we so choose. In the same way that we can speak about any loss, this one needs to be aired. The chapter about her own childhood illness is also unspeakably honest. She learns that she is the "little girl dying in there" by listening to an over-loud conversation outside her hospital door. Her subsequent recovery and the ineptitude of the authorities, "where [they]agreed to move my classroom downstairs but not the lunch room...[so] I ate a lot of packed lunches in the downstairs toilets, with the door locked, my feet tucked up so that no one could locate me." makes me cry out for the child she once was. And this is Maggie O'Farrell. There are few authors who can capture and take possession of what it means to be human. There are few authors who can create characters with such depth and empathy. She brings these skills to her memoir. It is not told in chronological order but each chapter has a connection to the one before. Her childhood encephalitis precedes the chapter on her own daughter's constant fight to cling to this world, from her conception to her daily struggles with multiple allergies. It is written in the same unequivocal tone as the rest of the book, and yet a mother's fears are transparent through it all. Honest and raw in places, Maggie O'Farrell stated that this is the chapter that had the most attention, the most care,the most revisions. And it is the chapter that she cannot read at festivals and readings because she cannot do so without tears. It is a book of life rather than a book of death. It is about valuing it, holding onto it and squeezing it for all it is worth.